This entry was posted in Quilting, Sewing and tagged Recap. Bookmark the permalink. 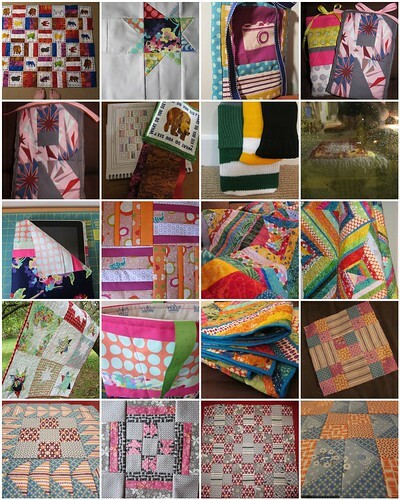 I love everything that you quilted/sewed this year! The wonky star quilt and the ipad cover with the crowns inside are my favorites. Can’t wait to see what comes out of the sweat shop in 2012!